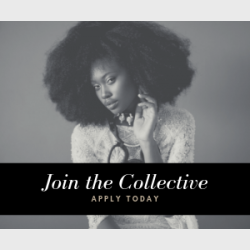 Coined the Melanin Matcher, The Image Concierge's owner and Chief Makeup Artist, Heather Campbell has been professionally trained and certified by the industry's top makeup artists of Oprah Winfrey, Michelle Obama, Jennifer Lopez and many more. Heather and her team have had the distinct pleasure of servicing over 1,000 clients since inception. From weddings to television to everyday glam looks, The Image Concierge has provided a complete suite of makeup services to clients all over the nation. During this 15-minute telephone call, we will discuss the wedding day trial and other bridal experience options. We can't wait to help make your day as magical as it is in your dreams! Master YOUR Makeup is a masterlcass in the DMV to help you identify your best strategies for maximizing the makeup you have. Loved my Engagement Shoot Makeup! I received professional make up services from Heather with Image Concierge and could not be more satisfied with the service that I received! Heather took the time to explain the make up application process and the products she would be using during our initial consultation and we discussed several looks before application. This put my mind at ease because this was my first time getting my makeup done professionally. She was able to execute a flawless look and I was in love with my engagement photos! Our photos ultimately got featured on several prominent wedding sites and this was no doubt in part to Heather's blessed hands. I've already booked Image Concierge for my wedding and prewedding events! I would highly recommend Image Concierge to anyone requiring professional makeup services.